Dominic and Meredith vow to do everything they can to combat the agent and find a cure. But will their efforts be enough to turn the tide - or is humanity's fate already sealed? First time reading Mr Melchiorri I am now a fan forever! Great story and narration I was pulled into the characters lives and predicaments from the first chapter. 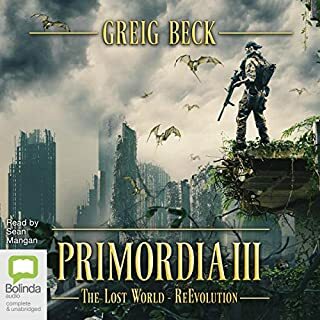 I don't want to give away any of the stories but if you enjoy apocalypse fiction from teotwawki to zombies, you will love this series. 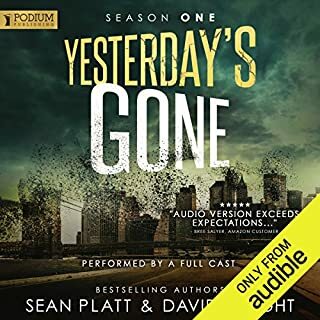 I can not wait for the next audiobook to come out!! Great start! Repeat listener, right here. This is a great start to a new series. There's a great mix of action and drama. The dialogue also fantastic. He really does a great job with character development which is hard to do with this type of genre. Everything played out in my head like a really good movie that you don't want to end. I've listened to this book twice already. The first time, my mind was blown but the second book wasn't out. 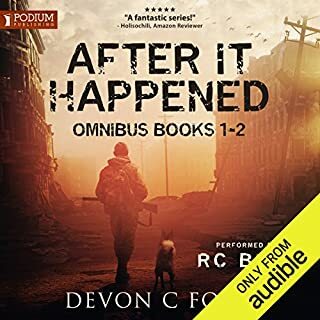 I decided to listen again before I played the second book and I was just as impressed the second time as the first. Definitely worth a credit. The voice performer's affectations of the various characters can sometimes be annoying. It's bad when he's doing a female voice or affectation of panic. That's just my opinion. Otherwise the reader has a pleasant voice and reading style. The story was an eye roller in places. It seemed juvenile at times. I chalk this up to being the first book in a series. Almost like a pilot episode of a tv series is usually the worst. I'm moderately interested in what happens next and so I'll try the next book. Given that there are many books in this series I'm fairly confident that it gets better. The twist on the "zombie/infected" is interesting. Different. Very suspenseful, couldn't stop reading. Great suspense. I am not a huge fan of zombie gore but am a fan of pandemic stories. This is a spin on the zombie genre but with more medical realism to explain the spread. It was a good story where you liked the characters and good narration. 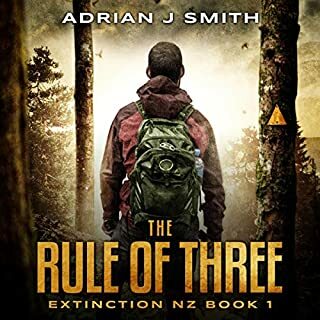 This is a complete story with character goals clearly set, leading up to a the big conflict where it resolves at a good stopping point for a series so you are not left hanging too badly. I appreciate the author giving you enough to feel like you read a whole story and did not rely on a gimmicky cliffhanger that you might see from lesser authors. 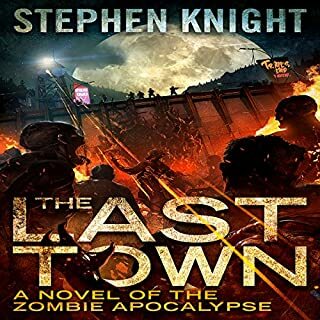 interesting story that puts a big twist on zombies. strong characters, I like that along with the tough men, the author has strong mind and bodied women that play key roles . 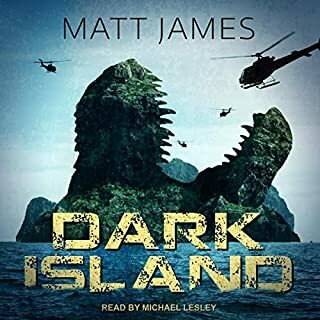 The Narrator does a fabulous job with the different characters voices, it always makes a big difference to the listening pleasures. 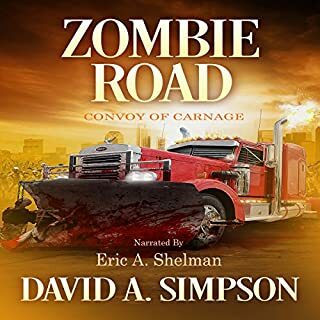 I am a long haul truck driver and audio books are a life savor for the endless miles. this book is a good one. you won't be disappointed. fairly decent twist that I didn't expect pretty straightforward zombie book I think the next one would be better. although this one is not bad. love the book. good pacing, detail and story content with plausible scientific implications. Take the best part of Resident Evil and mix it with the intelligent science part of World War Z and you have The Tide. There is nothing new here, but it is a fine piece of suspenceful entertainment. I think this book will be quite enjoyable to anyone who likes biotech apocalypse thrillers, especially those who enjoyed Jonathan Maberry's Patient Zero. But beware, it is the first in a series, and the story just cuts off at the end - there's not a satisfying conclusion. Luckily, Melchiorri is releasing the second one hot on the heals of the first, so this may not be an issue for many readers. The narration of this story was generally well-done. The pacing was good. The voices could have been a little better - Burke didn't do women's voices very well, which I imagine is a difficult, though manageable, skill for male readers. An enGROSSing tale with characters so vivid I can practically see and touch them. This isn't the kind of story I usually read, but I just bought the second book and am eager to begin. If you could sum up The Tide in three words, what would they be? The different take on zombies, without going into any spoilers it is a new route to take for the zombie writing. I am intrested to see where it leads in the future books. Which character – as performed by Ryan Kennard Burke – was your favourite? Loved the helicopter pilot. Reminded me of the pilot from Black Hawk Down. Great sense of humor. Not a major character but really fun. Not reallly, this is more like an 80's action move where you can enjoy it without all the emotional baggage. 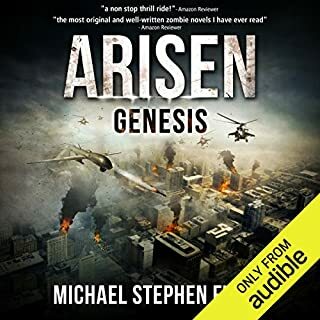 have listened to all of the Arisen series narrated by RC Bray and if you are a fan of that I would suggest this. Finding a narrator as good as RC Bray is hard but I think Mr Burke does a very good job. The story is also diferent from Arisen but still as enjoyable. 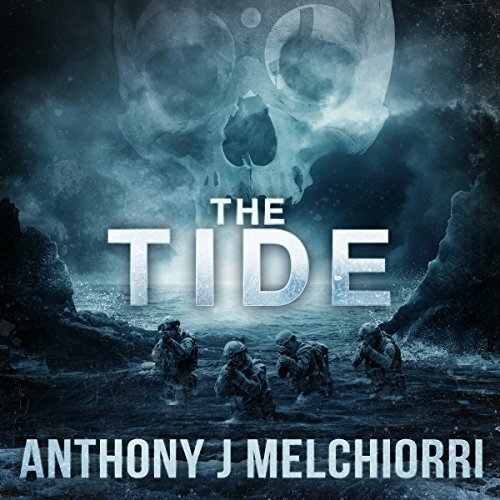 I thoroughly enjoyed listening to this book, the first by Anthony J Melchiorri that I have read/ listened to. The story develops at a good pace with a complimentary mix of action scenes, scientific development and characterisation. 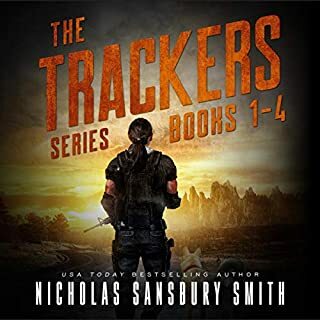 A group of covert private military contractors (The Hunters) discover the escape of biological agent that turns anyone infected into aggressive crazed killers. These killers also develop bone like structures on their bodies and their nails grow into dangerous talons. These growths lead the team to nickname them ‘skulls’. Early investigations prove that the agent is not airborne but rather spreads through direct contact with an infected person via scratches /bites etc. Dominic Holland who leaders the Hunters is desperate to find and if necessary rescue his daughters sets out on a dual purpose mission. In part it is a straight rescue mission, but owing to their nearness to the Fort Detrick (home base of USAMRID) he hopes to share what they have discovered about the agent, its origins in WWII Japan and any potential ways of fighting it that they have uncovered in the hopes that between them they can put a stop to the infection whilst they are any members of the human race left to save. The only problem is that between his ship and his girls lie an army of crazed, flesh hungry monsters, can he reach them in time? 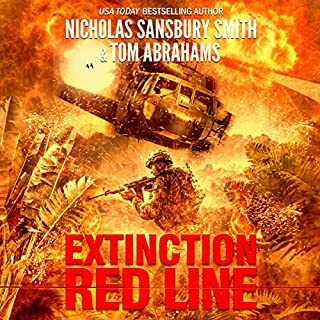 There are certainly similarities between this series and Extinction by Nicholas Sansbury Smith which for me is not a bad thing. 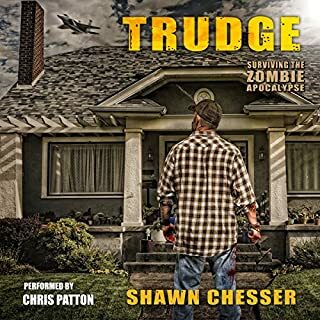 Whilst I don’t mind the traditional zombie storyline this type of genetic changes story without the monster rising from the dead makes a nice change. 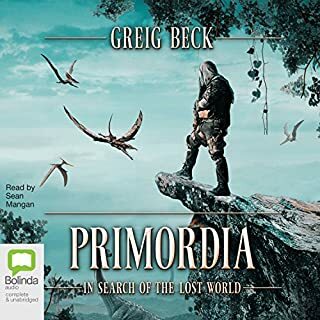 Ryan Kennard Burke narrates this story and does a fine job, for me a good narrator is almost someone you don’t notice. If you are always thinking about the style, voice, pitch or other effects being produce this takes away from the story. Burke simply takes the listener on for wild ride through the start of an apocalyptic event. What made the experience of listening to The Tide the most enjoyable? Different take on the genre. Good emotion in the voice, a bit slow at times. 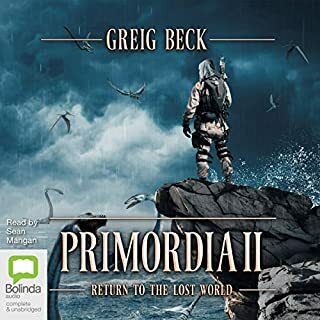 When i first started listening i thought of clive cussslers books about the origan but i soon lost myself in the fantasy of the skulls and the desperate survival of a family, i am very keen to read more about dom holland so well done and a brilliant and well written book. I am a big fan of good apocalyptic novels. I have read many in my time and have certainly read my share of bad ones. Hence it is a pleasure to come across a series with the capability of bringing about that large variety of feelings only this type of story line can. 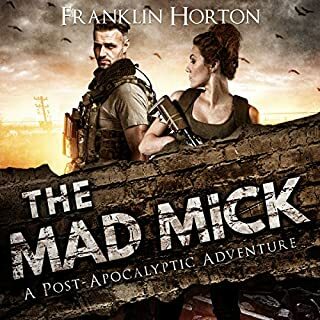 For those like me who have become hardened to the language and event types found in these books, it is fantastic to find one that can reignite that energy you felt back when you picked up your first apocalyptic thriller. For those who have not yet become an expert in such texts.....hold on and enjoy the ride this book will take you on. 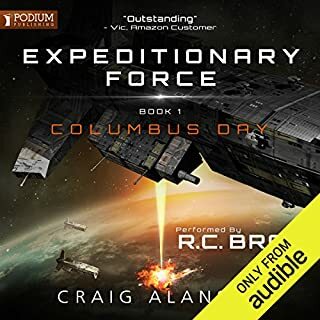 Great book, with great audio narration, likable characters and good scientific sections which, make it feel not only real to the reader but feasible as a future event. Would recommend this book to all. Buying the next in the series now having just finished this first instalment and very much looking forward to it. - no descriptions, characters or scenes. Would have helped with imagery and depicting the characters. 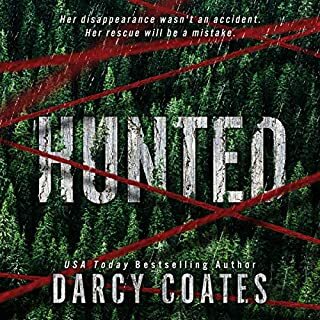 - very clichéd characters and dialogue, particularly the Hunters' banter and the children, Kyle and Sadie. - believability was an issue at times, eg. When Jay is going through his transformation, he would have known what was going on, that much had been deciphered in his time on the IBSL. What else would it be? Just came across as unrealistic. 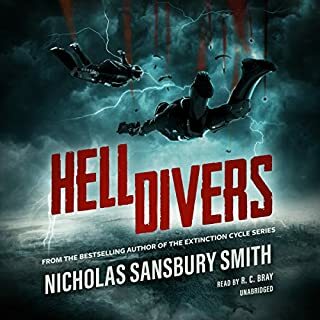 - good action description and pacing when it occurred, although the narrator made some odd choices and didn't do so well in the more frantic sequences. Too laid back to add a sense of peril or urgency. - some dialogue felt unnatural. Might have been better depicted as narration. I've been scouring Audible for a new 'long read' but couldn't commit to anything. Some fantasy books are a little blasé, same old etc. I tried The Tide and am so glad I did! My credits are a finite precious resource but I'll be getting these books possibly 2 at a time. Resented having to take my headphones out as I didn't want to stop listening. If I had to have a little moan it would be that The Huntress all sounds too good to be true and a little too apocalypse ready. Too convenient also was the Ramboesque daughter who apparently has been taught everything by her father, from shooting, self defence you name it she's had a crash course! As I always found it difficult to get my teens to bring their dishes down from their rooms or do their homework without a push she is a little hard to accept. But apart from that I look forward to the rest of the series!! Would you listen to The Tide again? Why? 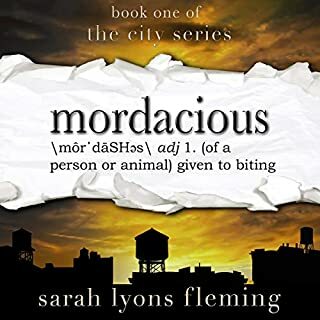 new author and new narrator for me. both v. good. storyline slightly different to other zombies ones..will. ow definitely buy all series and look for more fro m both. been a good story so far see where it takes the story takes us .